There were many commemorations organized by political parties and civil society groups in the North and East. Some media reports said that families of the victims and the church groups had defied the ban and held commemorations. However, even the blocked event was later permitted to be held in a church, though not on the last battleground of Mullivaikkal as originally planned. The biggest event in Mullivaikkal, which had been organized by civil society and political parties and which was attended by TNA leader R Sampanthan and Northern Chief Minister C V Wigneswaran. This event attracted the most public attention as TNA leader Sampanthan was heckled by some of the participants as he spoke. This incident took over the centre stage of public attention. Both the court order halting a commemoration event at Mullivaikkal and the heckling of the TNA leader points to the trust deficit between the people and the government. On the one hand, it shows the political space that has opened up which enables people in different parts of the country, and from different walks of life, to publicly express their dissent. Whether in the North or South those who protest are feeling increasingly emboldened to challenge those in authority. In the South this has led to highly disruptive protests by university students and doctors against the private medical school. Unless solutions are found to the problems, they will get exacerbated. The incident in the North on the night of May 18 in which a police patrol was fired upon, and which is currently being investigated, is a pointer to escalation. The police sought the court order to block a commemorative event organized by a civil society group led by Fr Elil Rajendram. This even sought to memorialize those who lost their lives in the last battle of the war by placing stones with the names of those who lost their lives. At present the Mullivaikkal area is without any monument to remember those who died there. The government’s apprehension may be that if the stone laying took place it will lead to the LTTE being commemorated in a political manner. Memorialisation if taken forward with hidden agendas can be detrimental to reconciliation. The urge to honour the dead and remember violent struggles is as prevalent as the impulse to try to repress terrible memories and move on. Political actors can also use memories of the past to fuel ethnic hatred and differences among groups, and to consolidate victimhood as the identity of a specific group. Indeed, this is what TNA leader Sampanthan warned against, and was heckled for saying. On the other hand, for the parents and family members of fallen LTTE cadre, they would still be their kith and kin whom they wish to remember. The government needs to deal with the problem that there is no memorial or monument for those who lost their lives in the last battles. There is a need for such a memorial and the government should not prevent the people who lost their lives from having such a memorial. If the government does not wish the construction of a memorial to include remembering the LTTE at this time, it needs to engage in a cooperative venture with both elected representatives in the North and civil society groups to jointly design an appropriate memorial. In the future there may be memorials for the LTTE also that are permitted with a measure of political and inter-ethnic consensus, just as there have been for the fallen JVP cadre where the loss of life was very high. In this context the treatment meted out to Fr Elil who was one of the main organizers of the commemoration event needs to be investigated. Fr Elil received summons from both the Vavuniya and Mullaitivu police stations. This would most likely be to harass and intimidate him and also to send a message to the other activists that the same could happen to them too. Instead of resorting to the methods of the previous government (though not as extreme as getting white vans to make people disappear) which were rejected at the last elections by the people of the North and East, and indeed the South also, the government needs to enter into a process of dialogue with the people, so that what they want wholeheartedly is provided. On May 19 together with some of my colleagues who are involved in promoting inter-ethnic reconciliation, we came into Jaffna by road. We saw a large police presence. We thought it might have something to do with the shooting incident the previous night. However, we were informed that Prime Minister Ranil Wickremesinghe had visited Jaffna to discuss economic development issues to boost the northern economy. He had met with the elected representatives of the North, including Chief Minister Wigneswaran. It is also important that government leaders dialogue with the people on governance issues. It is not enough to open new buildings and new infrastructure, which the previous government also did, but this was not what the people gave priority to, as the election results later showed. On May 20, two days after the commemorations in the North and East we took part in an inter-religious meeting organized by a civil society group in Jaffna. The issue of Mullivaikkal, and the commemoration event, was no longer at the centre stage of public interest. The issue did not arise in the discussions that took place. But the mistrust of the government system, and the security forces, was evident in some of the comments that were made. The main concern flagged by the group we met was that the drug problem was getting worse, and they suspected that there was deliberate plot to inundate Jaffna with drugs in order to destroy the younger generation. The slow progress with regard to other matters such as job opportunities for younger people and inaction with regard to the fate of missing persons were also highlighted. Mistrust was rife and it was based on partial knowledge. The drug trade, for instance, is also flourishing in the South of the country and destroying young lives. A golden opportunity to engage with the people on governance issues may be emerging. Prime Minister Wickremesinghe has said that he had informed Indian Prime Minister Narendra Modi and other world leaders including Japanese Prime Minister Shinzo Abe that the constitution-making process would not be delayed. He said this at the opening of the new District Secretariat Office in Mannar in the North. The prime minister said that he had told his Indian counterpart that the steering committee of the Constituent Assembly will submit their report within in two months to be followed by enacting the new constitution after discussions. “We cannot drag the constitution-making process anymore. 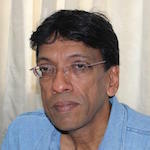 President Sirisena was elected in 2015 to fulfil this purpose.” Mahatma Gandhi’s approach was to trust the people, for “…theirs is an amazingly responsive nature.” There needs to be an all out effort by the government to dialogue with the people, explain what it wants to do, win their trust, win the referendum to come and win sustainable reconciliation.